Millenniata's recording process utilizes higher temperatures and as much as 5 times more energy than any ordinary optical disc. This allows for permanent engraving on the M-DISC, what we refer to as pits. These pits are not affected by temperature, humidity and sunlight the same way dyes are, because the pits are permanent. This means when you burn data onto the M-DISC, it will last as long as you need it to. The Naval Air Warfare Center at China Lake tested the M-DISC against the best conventional archival discs on the market produced by Mitsubishi, Verbatim, Taiyo Yuden, Delkin and MAM-A. The conditions were based on the 85 ℃/85% relative humidity industry test standard, supplemented with full-spectrum sunlight. The Navy's goal was to simulate conditions at sea or in combat, which experience has shown to be a disc killer. The conclusion? 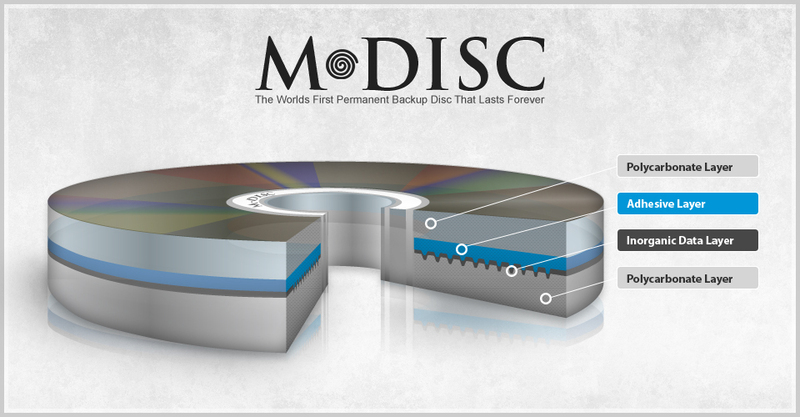 The M-DISC suffered no data degradation at all while discs from Mitsubishi, Verbatim, Taiyo Yuden, Delkin and MAM-A failed after the stress period. The Naval Air Warfare Center at China Lake has published these conclusions in the study, "Accelerated Life Cycle Comparison of Millenniata Archival DVD." 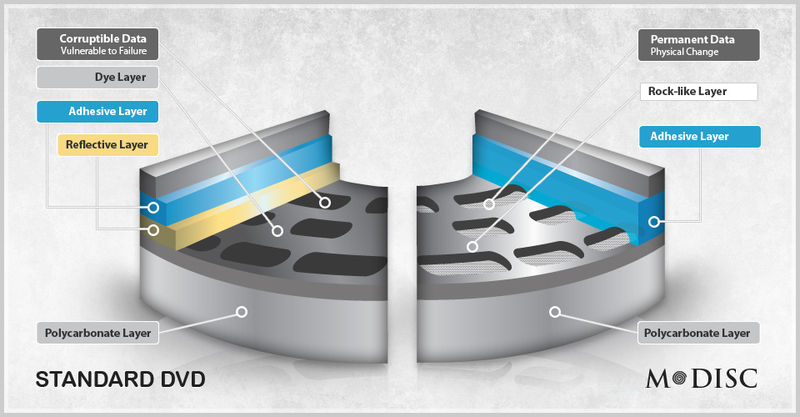 Conventional optical discs subjected to the same level of testing failed within 2 days while the M-DISC was not affected.